What I Know is that other people mirror to us parts of our own self that we do not fully see or own. Andrew simply embodies a constellation of cosmic gifts. One of Andrew’s gifts, for me, is a blazing path of Love visible in his OUTRAGEOUS PASSION. Through it, the Genius of wisdom, caring, and a beautiful heart and mind pour forth with pure intensity. As I would ‘prepare the Field’ for Andrew to step into and teach one of his many multi-day intensives, the Process of initiation into Vastness would begin. His passion for Rumi became seeds in my heart and mind. The one intensive imprinted in my Being, of all of those intensives, became The Way of Passion, a Celebration of Love and of Rumi. Sometimes the intersections that change our lives come from two or three ‘links’ away in making the connection. I went the second year and every year after to those profound gatherings. It was there that I connected with Eckhart Tolle not long after ‘The Power of Now’ had first come out and was creating an ‘underground buzz’ in spiritual settings. 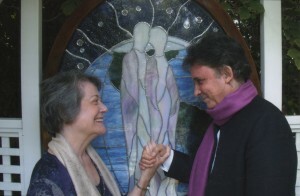 “The Flowering of Consciousness” was being filmed. As Eckhart signed my book, I invited him to come to Unity of Tustin. Intersections in time come in so many ways. I first read about Don Beck and his work in ‘What Is Enlightenment?’ magazine. When I read about his research and his path and the Spiral…everything just fell into place. It was like a cosmic shift. A telephone call to ‘information’ was part of our first connection. Sometimes it is so simple that we may not always act on it! It flowed into the four or five multi-day intensives, each one building on previous ones…yet open to souls willing to just dive in, be in the experience and let it change them. Music, message, and experience all wove themselves in the artistic tapestry that unfolded. 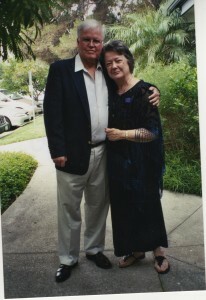 Don was the first to recognize the grounds of Unity of Tustin, even the buildings, as embodiment of the Spiral. He saw all of the colors dancing…and invited me to see, celebrate and Know all of the colors of the rainbow in the spectrum of my own life as well as at Unity. Don spotted so clearly how Purple is part of me. He used the beauty and glory of ‘purple’ on the Spiral as his way to invite me into the Knowing! All of the symbols in the garden and in my teaching, the imprinting of the sacred, the ‘tribe’, family, culture…all there. Of course! It is Co-creation manifesting, coming into form… Leading into Emergence of the All That Is. It was like all of the octaves could now play their beautiful music…in my life as well as on the piano, or the harp, both instruments of my childhood. Extra-ordinary meets ordinary and opens the potentials of the Vastness. Potentials, both mine and of others, have opened connections into national leadership within the Unity framework. Don said ‘Yes’ to an invitation to go to Unity Village, our international headquarters, to work with the ministerial students, as well as the Unity School of Christianity board…and then even extended the time that he had said ‘Yes’ to, in order to do some deeper work. Don simply lives generosity. I saw the multiple realities existing simultaneously in Don’s life, his work, and his willingness to simply give himself to something in Emergence that he could see so clearly. It was huge, it was complex…and it was ordinary in the recognition. He could see the yearning, the missing pieces potentially…and the bridge. And, what I also love about Don is the delightful way that he just says hello in unexpected moments…like on Facebook…where he simply continues to ‘seed’ his work in the field of the world. So ordinary, and so extra-ordinary, these comments that always make my heart sing! Yet not quite the same as our wonderful open-hearted communication over long lunches when Don would come to Unity of Tustin for intensives! For me, Don Beck is the beautiful and clear authentic voice of the Spiral in the world.